Rock fans rejoice, Trillians is back, and hopefully this time it’s for good. The beloved Newcastle city centre rock bar has been saved by its former sound engineer of 23 years, Dave Hills, and former customer Barbara Blair, who hope to return the bar to its former glory. 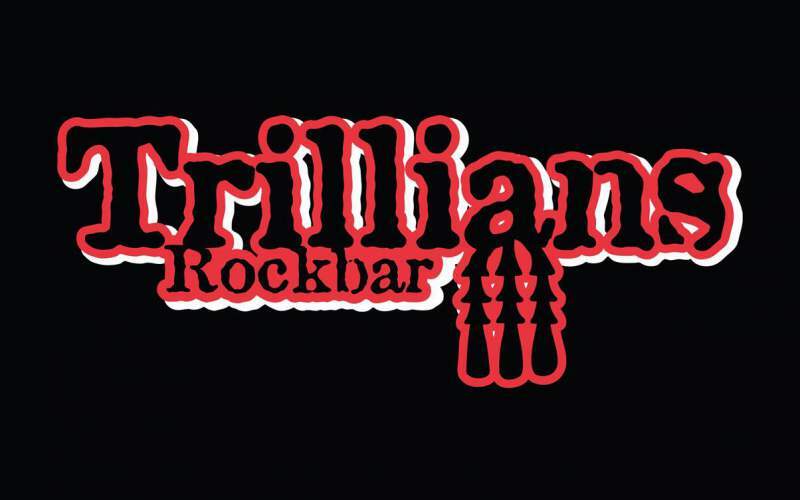 While Trillians was always primarily a rock bar, it was one of those special places where all walks of life were welcomed and made to feel comfortable; a pub with a strong sense of community and an emphasis on tolerance. Trillians was also known for its memorable live gigs, from local bands such as the Steve Albini-endorsed We Are Knuckle Dragger, to musical legends like The Damned, The Adolescents, Exodus, Biohazard and many more. Since acquiring the lease, Hills and Blair (and a bunch of dedicated volunteers) have been working around the clock to ready Trillians for its official relaunch party on Saturday 13th June. I spoke to Hills to find out how he and Blair plan to restore Trillians to being a hub for the rock community once again. How did you guys taking over Trillians come about? Is it something that’s been in the works for a while? In August of last year I put a post on Facebook asking if anyone wanted to go halves on the last chance saloon. Barbara saw the post and contacted me to say she was interested. We’ve been working since then to secure the lease. Barbara had expressed an interest in going for it the previous year but due to the last number of bidders she withdrew. What made you want to take on the Trillians challenge? I worked in Trillians for 23 years as the sound engineer and it was one of those dreams that I’d love to own the place one day. Barbara has been involved with the bar for 30 years in one way or another, promoting bands etc, and felt the same way. We both have a love of the place, its like a second home, and after our initial meeting we realised we both wanted the same thing: to get Trillians back to being the centre of the rock community. And we both missed it! There’s been a few pictures posted on the Trillians Facebook page of the building looking a bit dishevelled! How much work needed to be done? The whole place was filthy from a combination of standing empty for so long and also from having workmen in rewiring, plumbing and putting in a new fire alarm system. It needed cleaning from top to toe, painting, varnishing, etc and a generous amount of tender loving care. We had to purchase a lot of new furniture. We want people when they come in to say ‘”wow we love what you’ve done to the place,” but it was also important that it still looks like Trillians. We’ve had help from people across the board, from ex-managers coming in and helping with technical bits and contacts, people painting, decorating, upholstering, electricians, plumbers, merchandisers, brewery contacts… everyone giving their time freely because of their love of the place. When Trillians briefly reopened a while back it didn’t go down too well. What are you going to do differently this time? Because we’ve both been involved in Trillians for a long time, we have a good idea of what works and what doesn’t, and as customers here over the years we know what we expect from the pub. We’ve also been consulting with past customers about their concerns and watching social media for any comments there. Newcastle has been lacking a ‘rock bar’ since the first closure a few years back. Do you plan to restore Trillians to its former glory to attract the old crowd back, or will you be doing more to attract new customers? Both! We would love all the old clientèle to come back through the doors but we will also welcome new customers with open arms. The big question on everyone’s lips is: what are your plans music-wise for Trillians? Are you planning on having live bands playing again, a decent jukebox etc? Our absolute passion is live music so the answer there is a definite yes yes yes. As for the jukebox, we’re planning on having music playing which will be constantly updated by ourselves and our customers through some of the latest music technology. We want the music to be free rather than putting money into a jukebox. Do you have any plans for a food menu? At the moment we’re working to a tight budget and even tighter deadline, so we’re concentrating on the bar for now, but once we’re up and running we’ll be looking at restoring the kitchens. Finally, what are the main goals you’d like to achieve at Trillians? We want to get Trillians back to being at the centre of the rock community; a place where people can come in, drink and relax, and where they feel they belong. Trillians hold their official relaunch party on Saturday 13th June.